Jun Ko, Sept. 13, 2018, 11:58 a.m.
KittiB's lawsuit against Black Nut is proceeding forward. Last year, she had filed a lawsuit against him for defamation of character for his lyrics in his track 'Indigo Child': "I'll be honest. I jacked off to KittiB's picture, but that was before 'Unpretty Rapstar'" and "I wouldn't screw KittiB if she was given to me for free." She had her sixth trial for her lawsuit on September 13th at the Seoul Central District Court. During her trial, she shared how she didn't even know of Black Nut until the release of 'Indigo Child'. 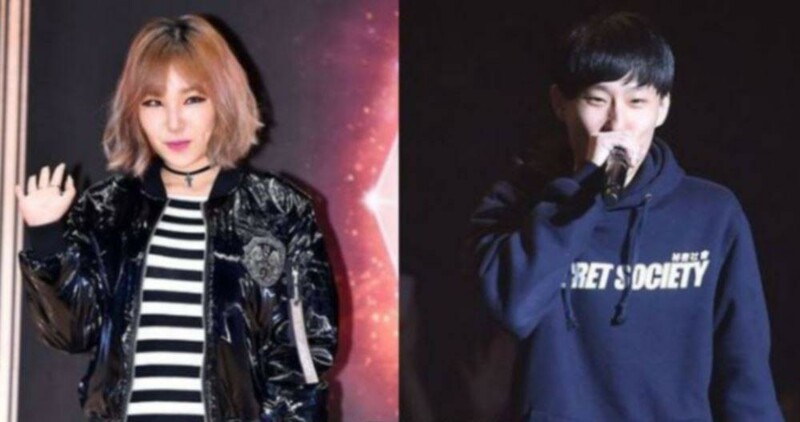 It was advised by her lawyer that she filed another lawsuit against Black Nut for his lewd performance; the performance ended up making her a topic on the internet. She shared her discomfort at the sexual comments attached to 'Indigo Child' as well as the sexual gestures Black Nut made during his performance of the track. With her displeasure, she gave a strong statement as a conclusion: "I want him to have a strict punishment. I don't want something like this to happen again. This is not a diss, this is sexual harassment. He bragged as well as wore a Kimchi t-shirt (imagery related to anti-feminist sentiment). I don't want a light sentence for someone who thinks little of the whole world. I want the court to show my strength to this person who thinks lightly of me as a woman."